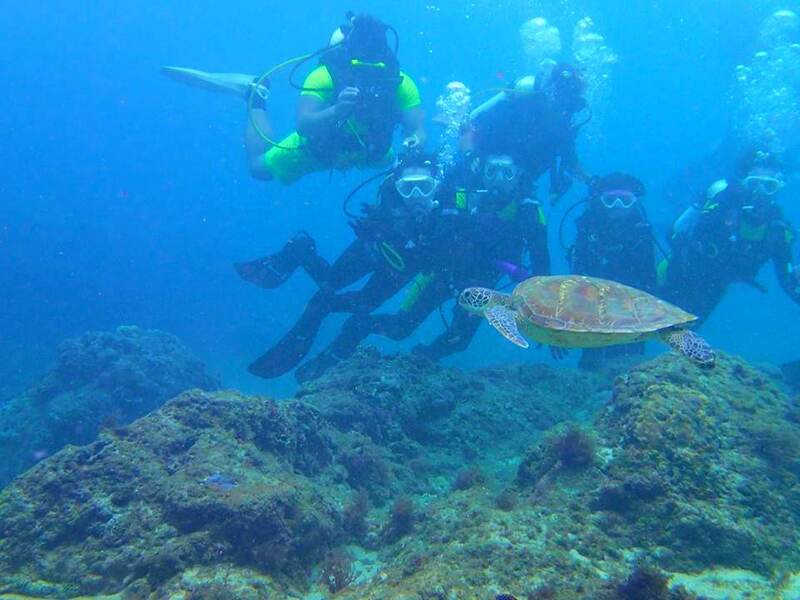 The places you must go in Little Liuqiu Scenic Area for summer vacation｜A 2 days trip of Pingdong Little Liuqiu and Dapeng Bay includes diving, swimming with sea turtles, and local food trip of Donggang. You will have fun and save on cost by using the E-Travel Tour Package of Donggang/Little liuqiu/Dapeng Bay. 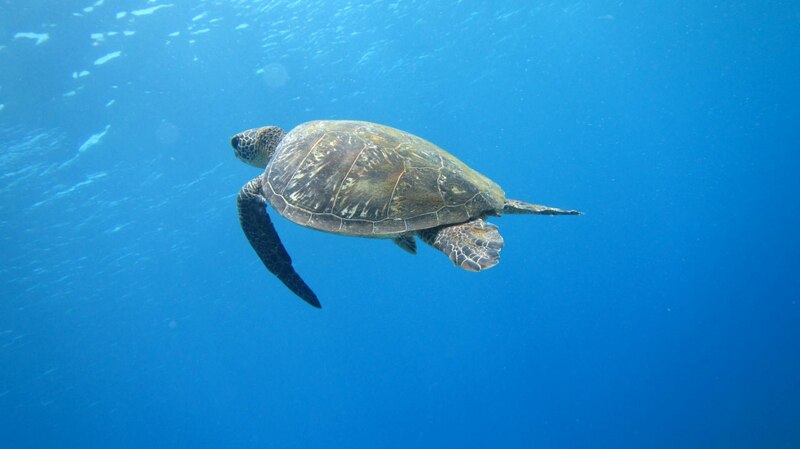 You don’t need to travel to a tropical island destination to enjoy swimming with sea turtles and playing in the beach. After our wedding, Yaya and Sidney went to Pingdong Donggang right away. 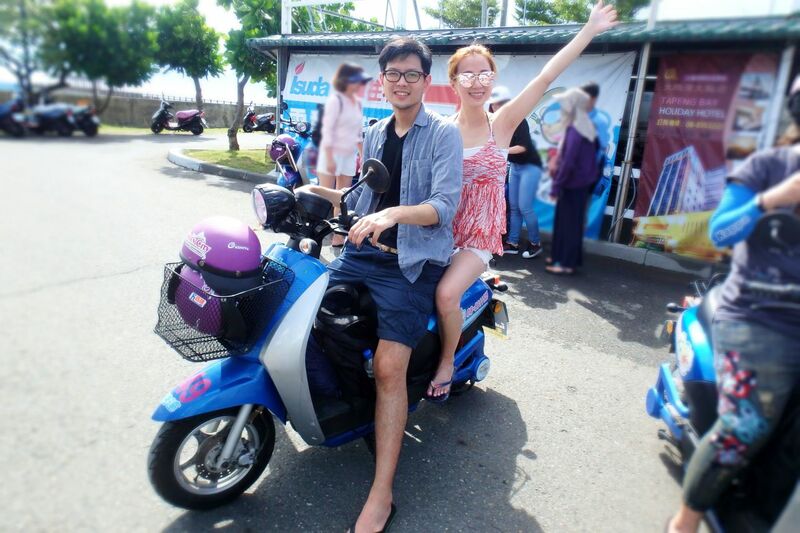 We had a quick honeymoon of 2 days and 1night in Dapeng Bay and Little Liuqiu. 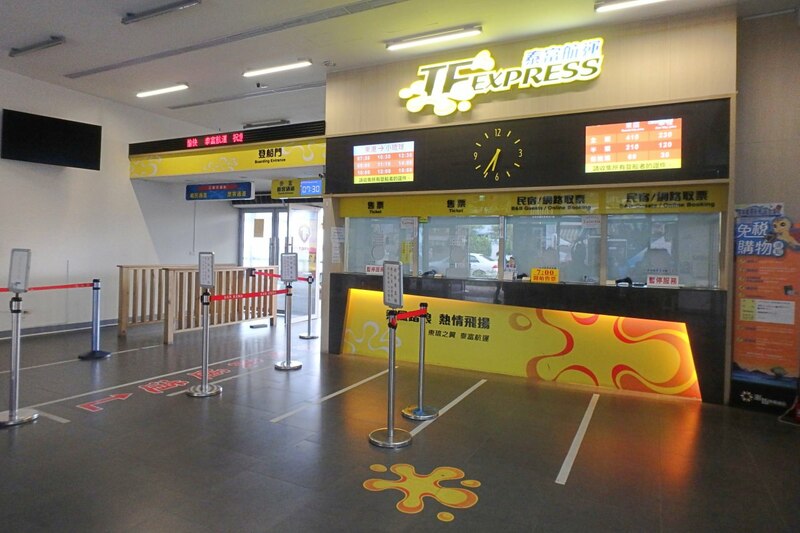 We found the「Dapeng Bay E-Travel Tour Package fan page /website」to make our trip more fun. 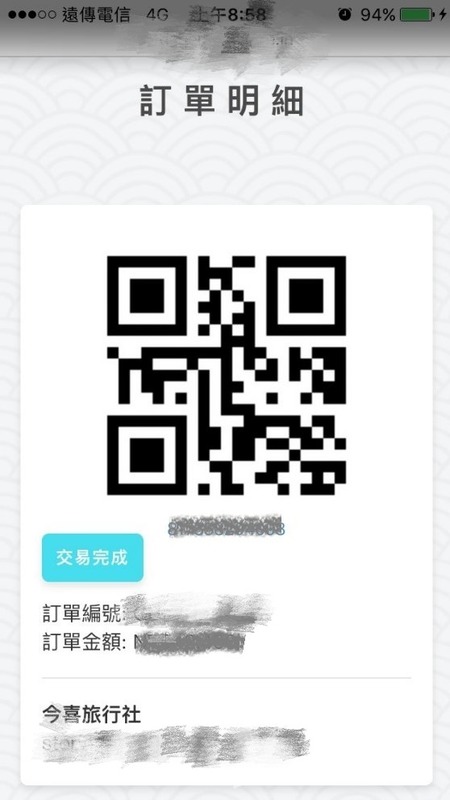 The good thing about using the Dapeng Bay E-Travel Tour Package Website is you can just buy the tickets on the website, then scan the QR Code when you are there and you can immediately start to enjoy your tour. You don’t even need to bring your wallet and money. In addition, every sightseeing spot is centrally located in Donggang Dapeng Bay, so even if you only have a small group it works. 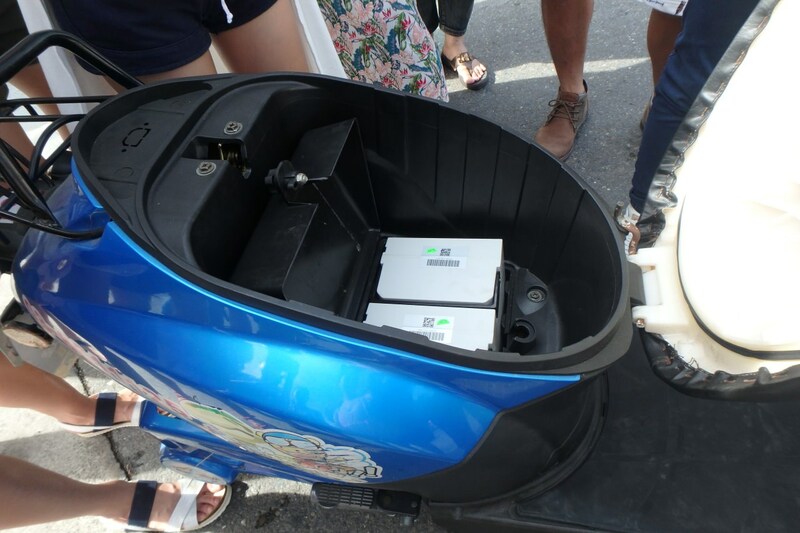 The trip includes an environmentally friendly electric scooter that you can ride around easily, conveniently, and cheaply! We had lots of fun for our 2 days and 1 night trip and it was a tremendous value! The Dapeng Bay E-Travel Tour Package Website is so convenient. 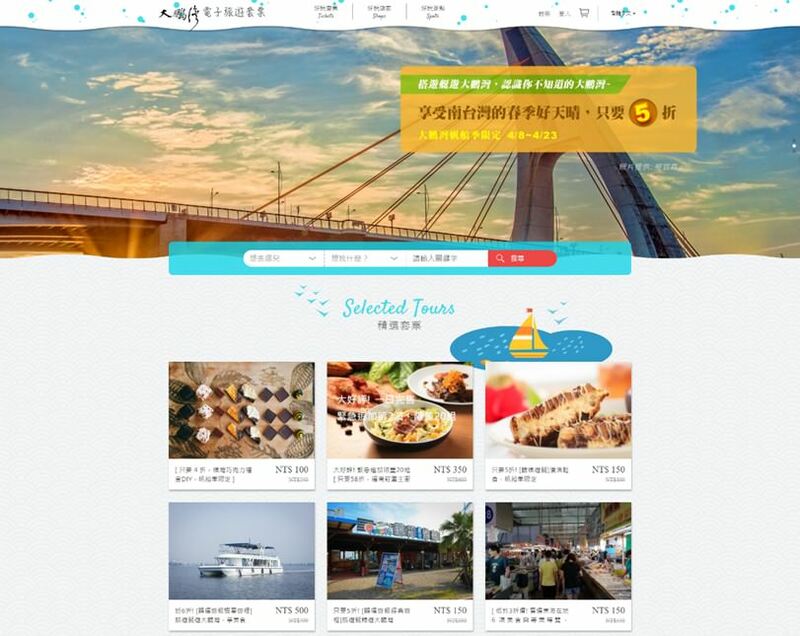 Included in the Dapeng Bay E-Travel Tour Package Website is the most famous, fun, and delicious food tour itinerary of Donggang/ Little Liuqiu /Dapeng Bay’s sightseeing spots. Furthermore, using this package solves your transportation problems. Round trip boats tickets are provided to and from Little Liuqiu, and an electric scooter is waiting for you upon arrival. There are different packages available on the Dapeng Bay E-Travel Tour Package Website, so you don’t need to search all over the internet to find relevant information of tourist spots, buying tickets in busy season, or to build your own vacation package. What the Dapeng Bay E-Travel Tour Package Website is offering. 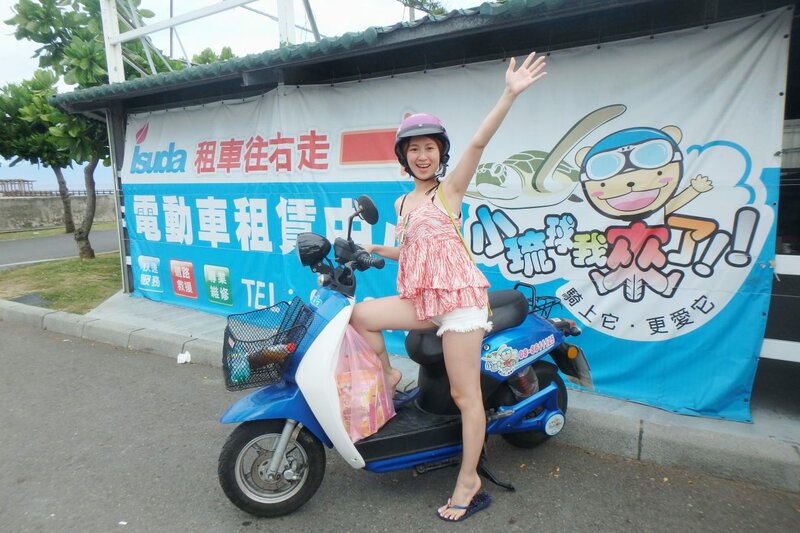 The Dapeng Bay E-Travel Tour Package Website offered different packages, and you will get the fairest price package for the boat tickets to Little Liuqiu and electric scooter. If you want to go sailing, kayaking, or want to taste all the local food that are often difficult for tourists to find, the package will have a 20%-40% discount in the local stores and for group tours over 4 people it will be a 50% discount. Many packages have discounts that include transportation, food, and drinks. 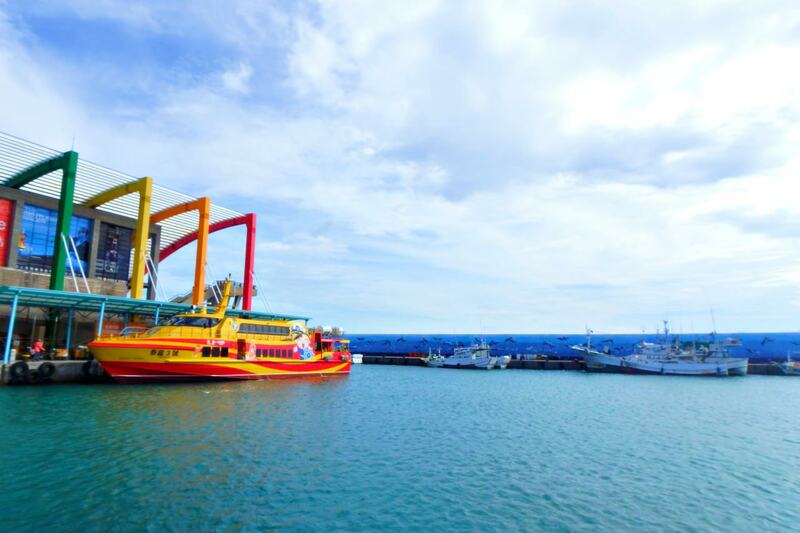 I’m sure that you don’t want to compare prices all the time, the fairest priced tour packages in Taiwan are in the Dapeng Bay E-Travel Tour Package Website. The Dapeng Bay E-Travel Tour Package Website is thoughtful. The Dapeng Bay E-Travel Tour Package Website offers the most convenient and thoughtful service. When you buy the packages on the internet, the website will give you a QR Code that you can use to enjoy your trip. Also, you can set the date on which to use the QR Code. This service means that you don’t need to worry all the time, and you won’t waste your time waiting. It was a good experience for the whole trip. Here we are sharing the Dapeng Bay E-Travel Tour Package itinerary that Yaya bought. If you want to plan a 2 days and 1 night trip in the summer time, you should do it now!!! 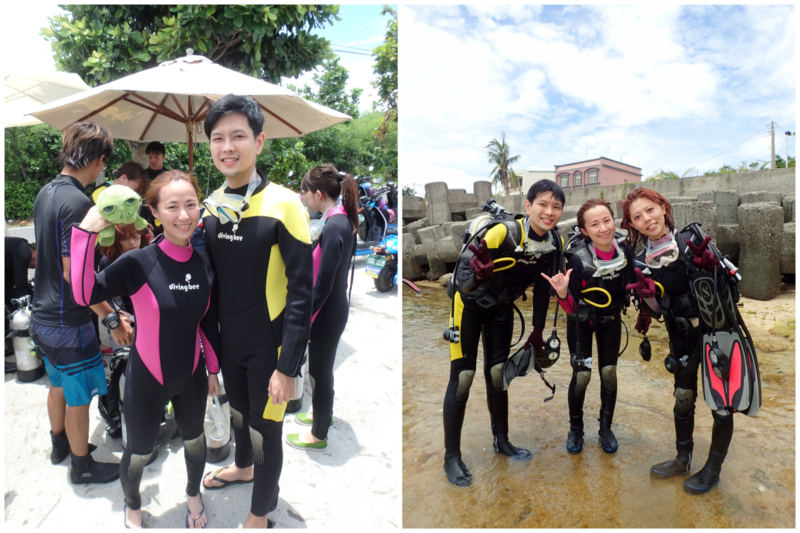 Here is our experience for the 2 days and 1 night trip of Little Liuqiu and Dapeng Bay. Took the boat to Little Liuqiu at 7am- got the electric scooter– Feng Qian Shui Ocean Club diving and swimming with sea turtles-go kart-get souvenirs (Fried Dough Twists, Sweet Potato Chips)-left Donggang at 6pm-arrived Taipei around 9pm. 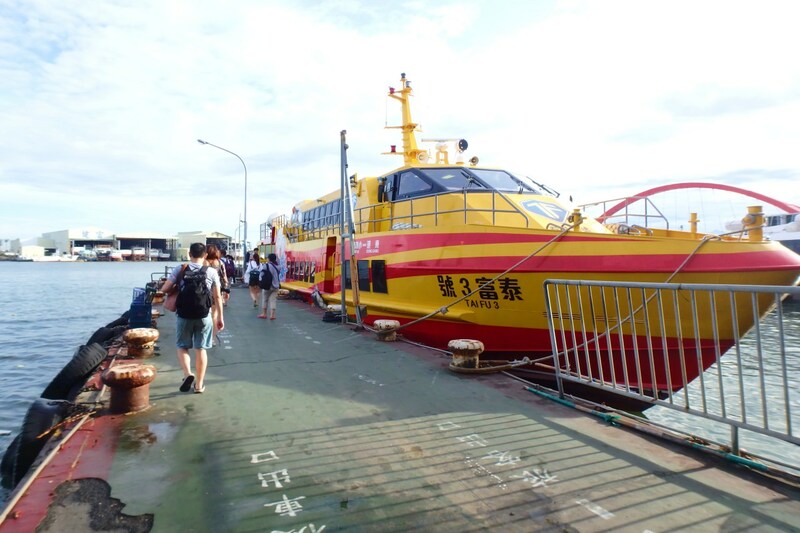 Experience the catamaran of Dapeng Bay, even if you can’t swim you are still able to enjoy the sea. Sidney and I loved the water activities and the catamaran, even if you can’t swim you can still enjoy it. 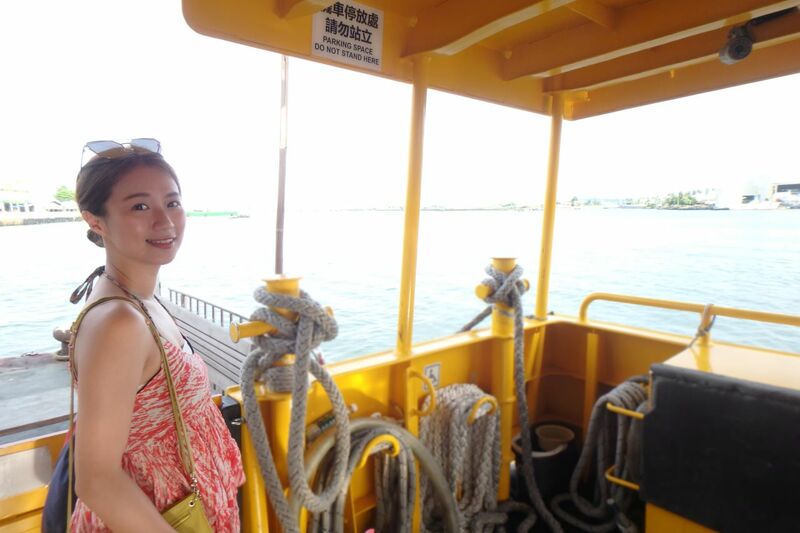 The first you do when you arrive in Donggang is go to the sailboat area in Dapeng Bay. 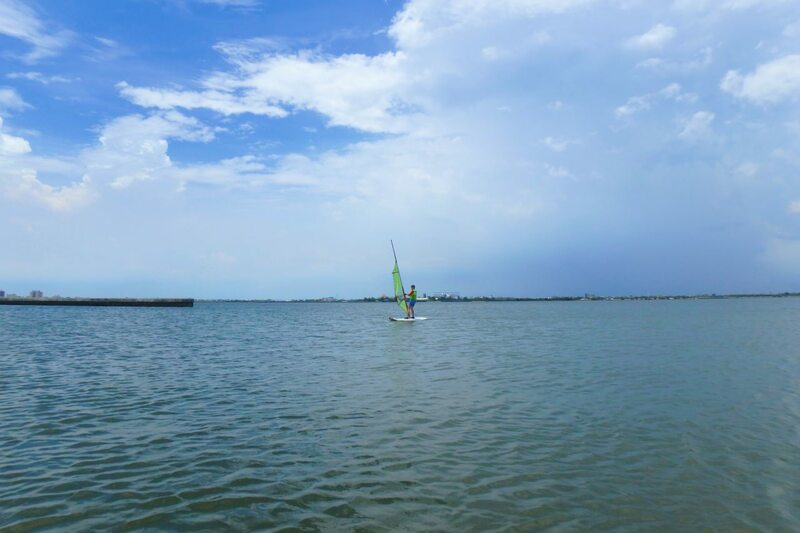 This area of sea has wind but no waves, so it’s really safe and even the elementary students will go windsurfing after school. The coach was going windsurfing when he was little in this area. Adults and children can easily go and have a good time. Take some nice pictures under the sunshine and wait for the coach to take us to experience it. Let’s go to enjoy the sailboat. When you are on the sailboat, you will feel the sea breeze and the speed. On the sailboat, the coach will teach you how to control it to make it more fun. In fact, the coach controls the sailboat himself all the times. I think that’s easier for coach. It felt so good when you control it, the speed and sea breeze come to you, and sometimes you get wet from the sea. That’s an awesome experience. Ths split legs girl-Yaya was in the Dapeng Bay! After the exciting water activities, you get wet and need to fix your makeup. 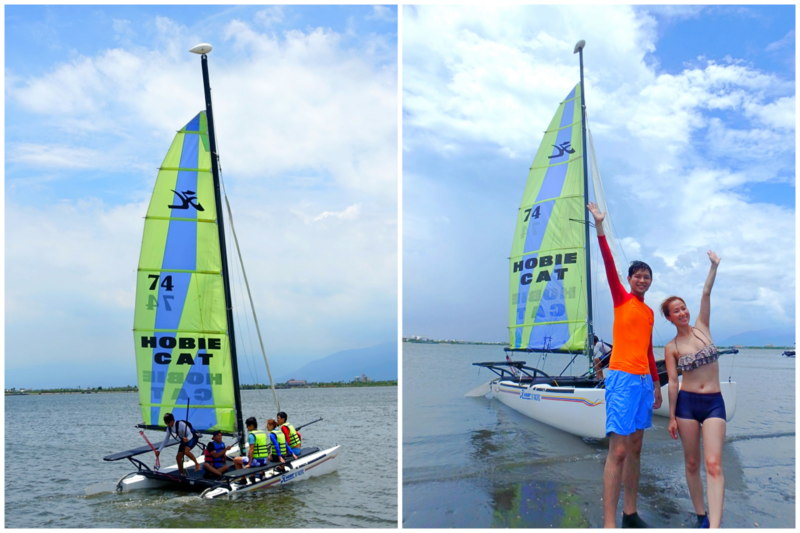 The coach was teaching us seriously and showing us how to go to windsurfing . It looked so cool, but was not that easy for us. 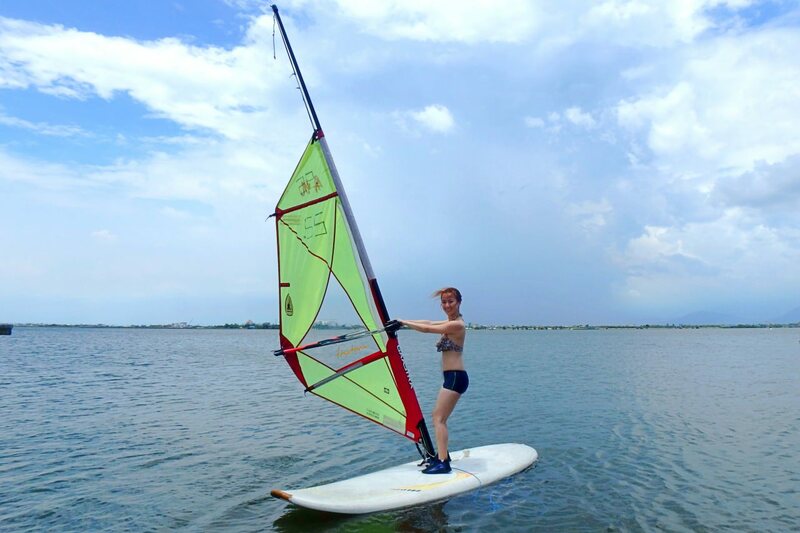 The windsurfing board was so heavy, and you need to keep your body balance to hold it up. However, if you can’t control your foot’s balance you will fall back. It’s safe because you will practice it on the beach, not in the sea. Sidney fell back sometimes even he is good in the water. After practicing a few times then it was easy to go. When you stand on the board, you will be alright if you are following the breeze and keeping your balance. Sidney went too far away from us to have more fun on the windsurfing board. Look at that girl, it’s me. I practiced a few times and I finally did it. 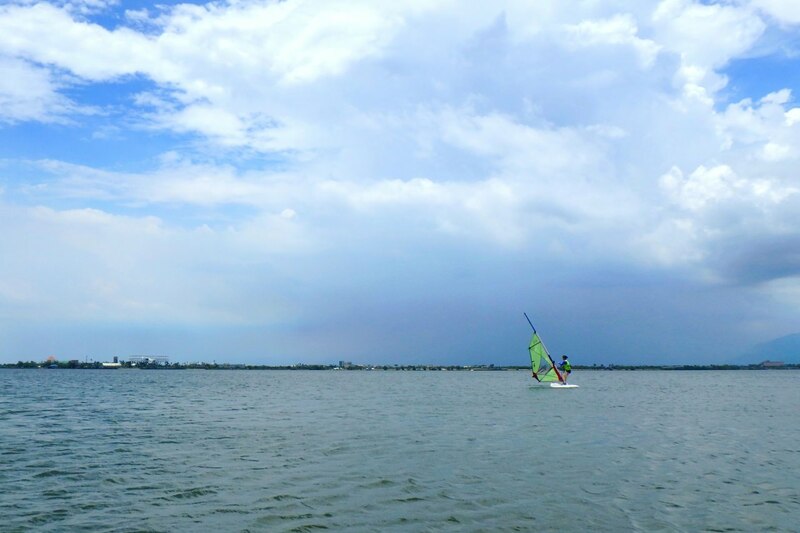 Sharing our experience for people who go windsurfing for the first time. Bend your knees to keep your balance. Bend your body back a little bit and hold the sail to keep it balanced. keep your body on the same side as the sail and turn the sail when you ready to go back to the shore. I learned many skills for water activities. 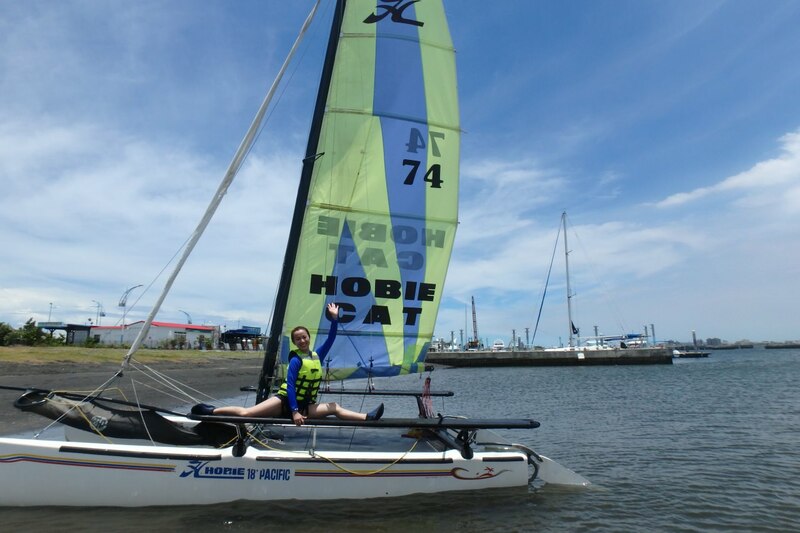 I was so proud of myself for sailboating and windsurfing for the first time. I will have many choices of water activities in the summer time. 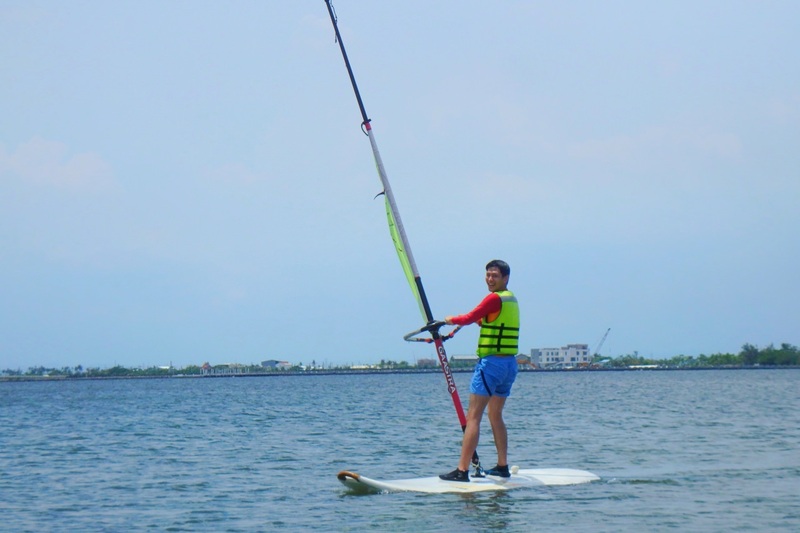 It’s really nice to go for windsurfing because the topography and wind of Dapeng Bay. 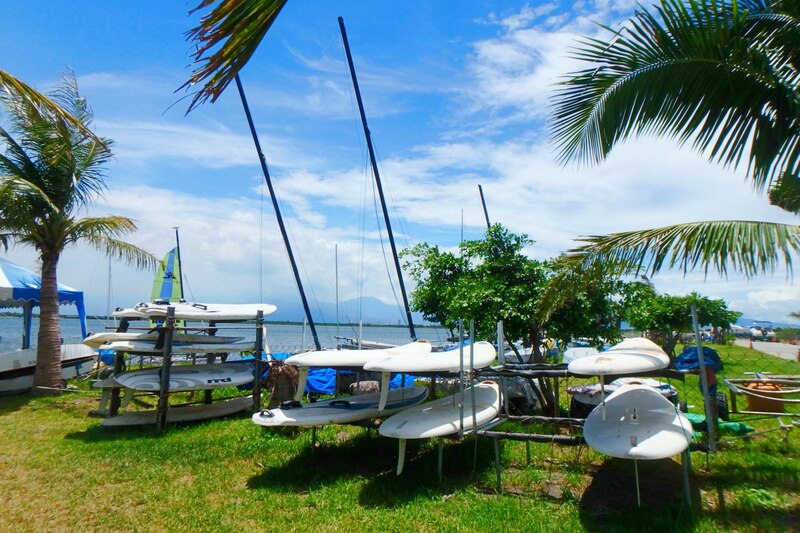 There is an international windsurfing board competition in Dapeng Bay every year. 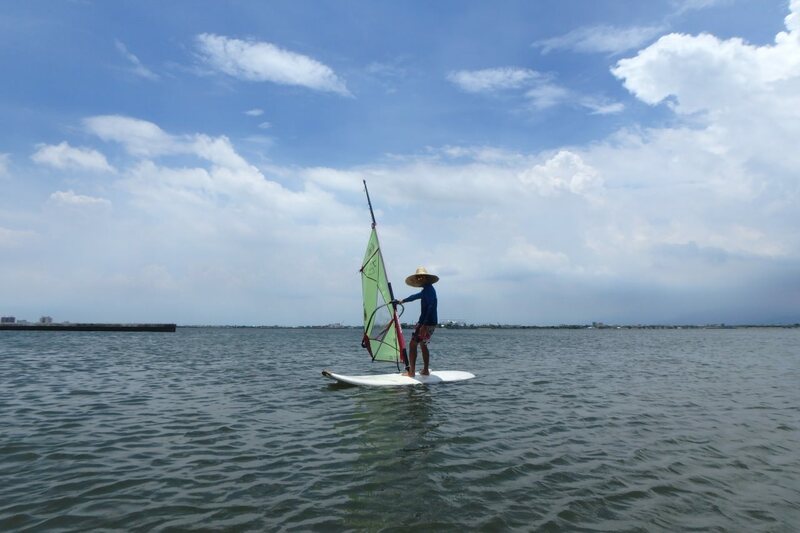 Many local people like to do these water activities. 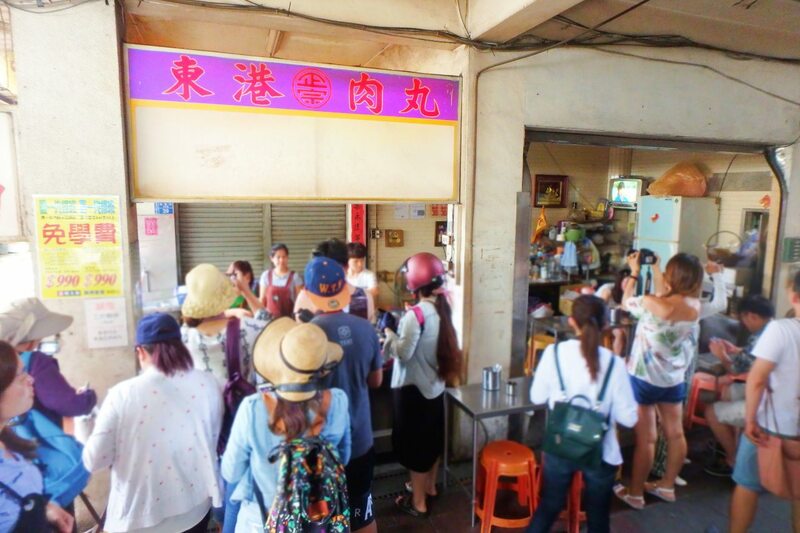 The tour guides will lead you to taste the most delcious food that only local people know. In the past we had never spent much time in Dapeng Bay before going to Little Liuqiu until this time. We joined the local food tour and we tasted lots of good food. 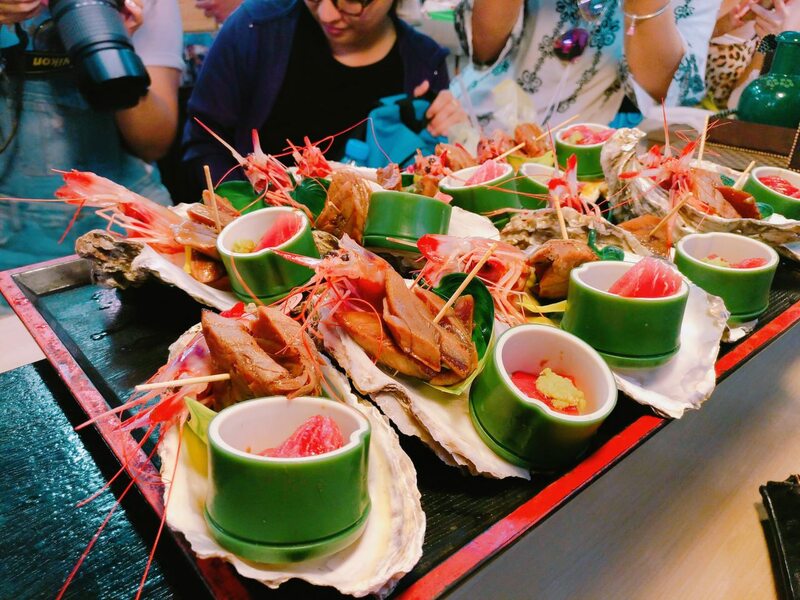 Some of the food included Rice Cake With Minced Pork of Donggang, Taiwanese Meatballs of Pingdong, Rui Zi hao Marlin Fish Oden Rolls in the Huaqiao Market, Wang Jiang Sashimi, Ice With sakura shrimp and Donglong Chinese Herb Tea. These foods were awesome and so good. This was our first stop on the food tour after we went to sailboat and windsurfing. Using minced fish to make the soup, it was simple and tasted good. Using long grain rice to make the Rice Cake, it tasted soft just like tofu. Gefilte fish, rice cake, sausage, minced pork and sakura shrimp of Donggang on the top. 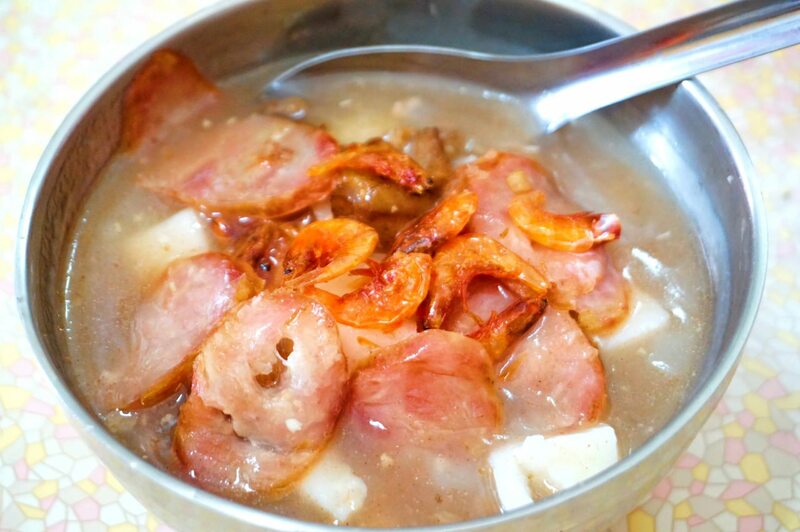 This rice cake with minced pork is simple and doesn’t need to too much seasoning, then you will taste the local food flavor. 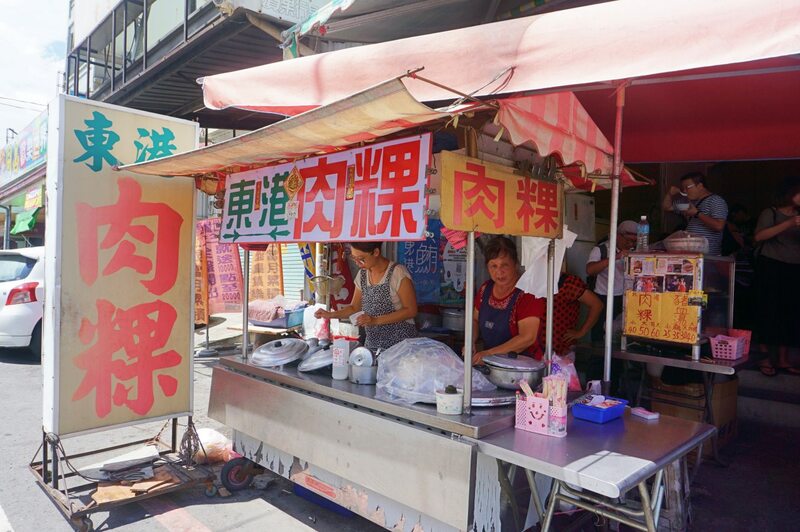 Yaya was born in Changhua which is famous for meatballs, so she is very excited for the Taiwanese meatballs in Donggang. Deep fried Taiwanese meatballs looks so tasty, I can’t wait. 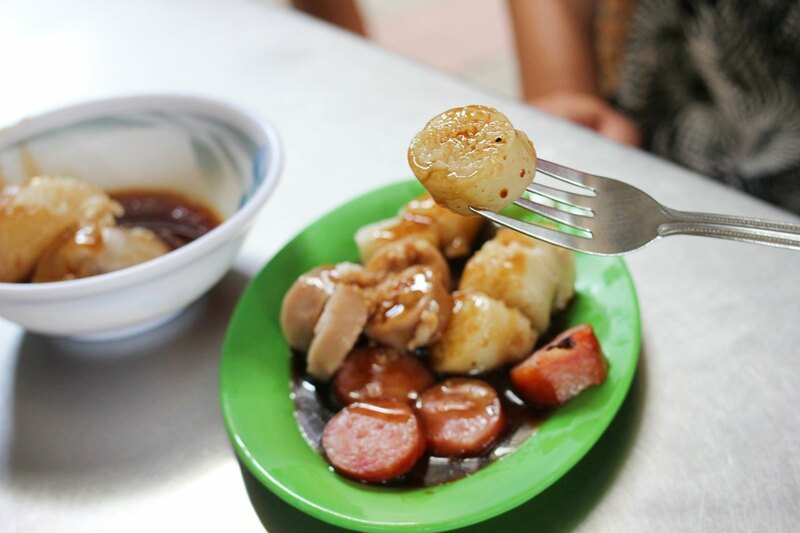 The Taiwanese Meatballs of Donggang shop is 80 years old and has passed on to the fourth generation. 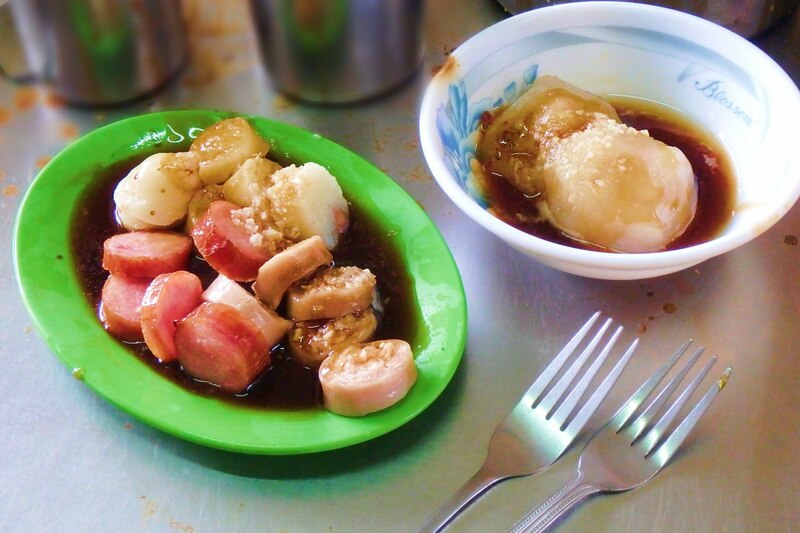 The wrapper of Taiwanese Meatballs of Donggang is thinner than Taiwanese Meatballs of Zhanghua and absorb the meat soup. The meatballs use pork, ham, and Chinese medicine flavor. You can eat it with the special sauce, it was so delicious. Another food the local people recommend is sticky rice sausage, Taiwanese sausage, and a kind of sausage made with pork and tuna stuffed into pig intestine. 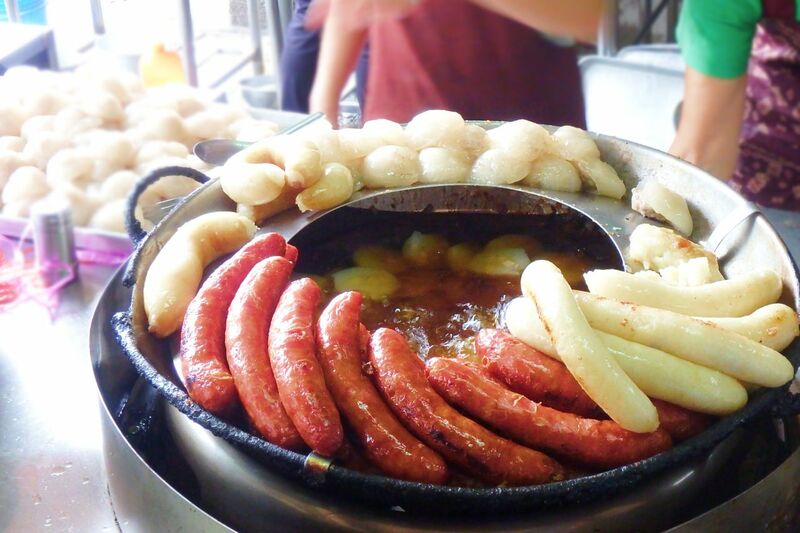 This kind of sausage usually you can eat in the south of Taiwan, and tastes really good. 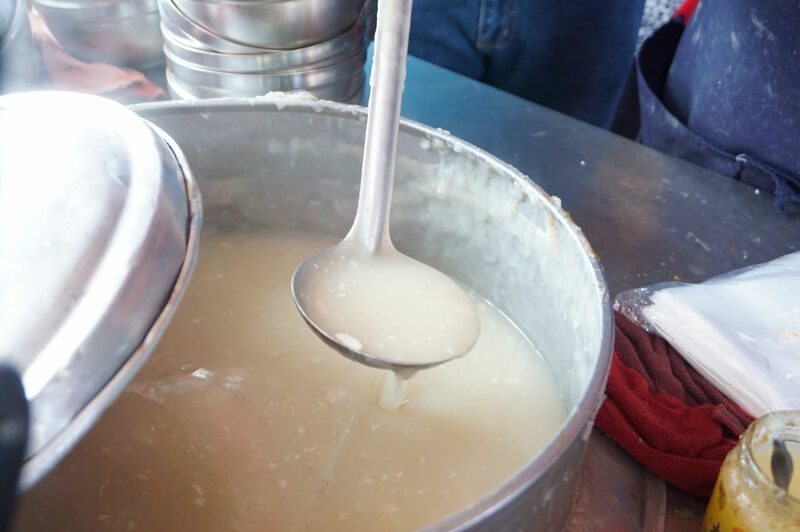 It’s special food in Donggang. 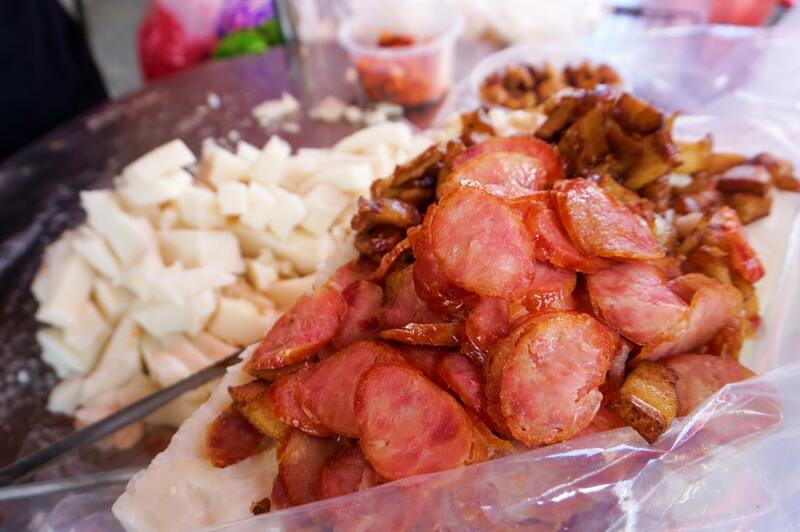 Eatingsticky rice sausage and Taiwanese sausage together, the flavor is a match. 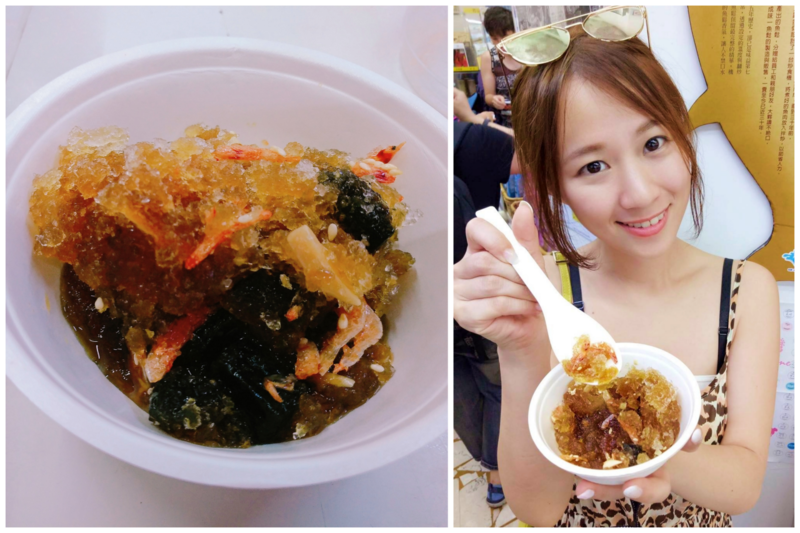 Yaya really likes local food in the south of Taiwan. I want to eat more but there are more foods we need to taste after this. 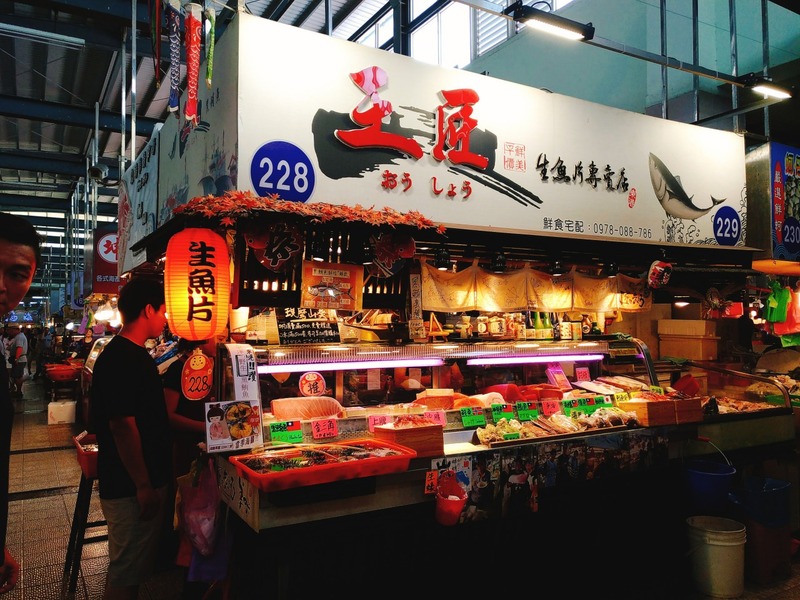 Rui Zi hao Marlin Fish Oden Rolls hide in the Huaqiao Market, so it’s easy miss it. I am glad we had a local tour guide to lead us, the owner saw us coming and brought us a big plate of Marlin Fish Oden Rolls to let us taste. 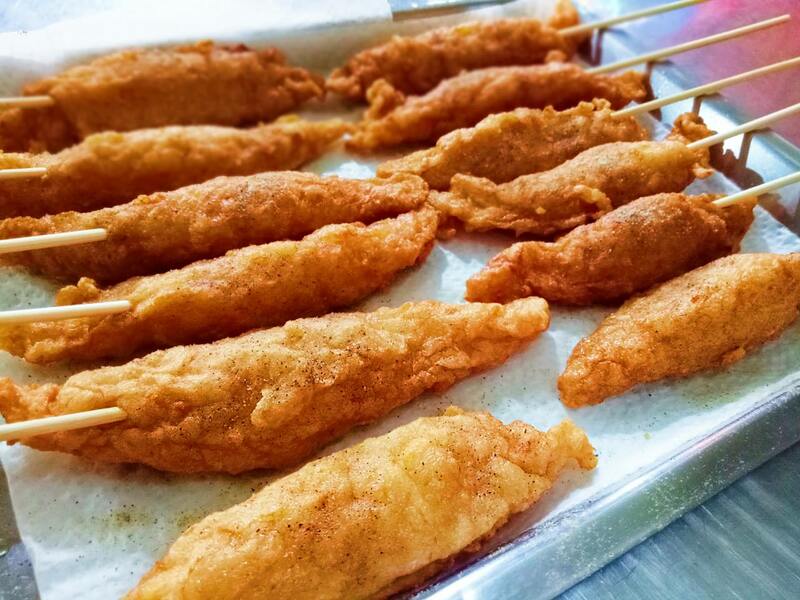 Rui Zi hao Marlin Fish Oden Rolls is a type of deep fried food. They taste crispy, the wrap isn’t too thick, and even cooled down a bit it won’t be oily. 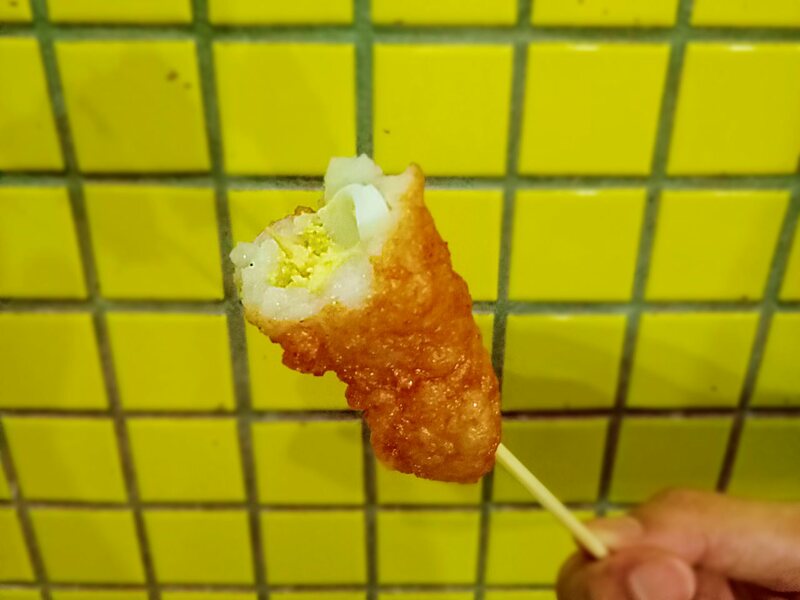 In the oden rolls with egg, when you take a big bite you will taste the egg and all the flavors together and it tastes so good. Standing at a table for the Japanese cuisine, just like in Japan. This most special part of this food tour is this sashimi. 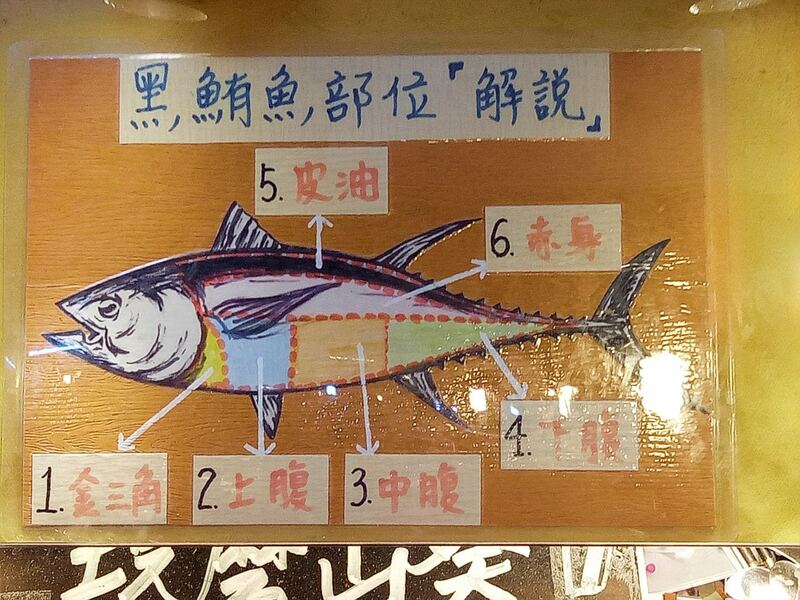 There are 2 ways to eat tuna. Hokkaido oyster on the bottom, Bluefin tuna sashimi and wasabi on the top, and the middle part tuna cooked on the grill, eaten with green onion. 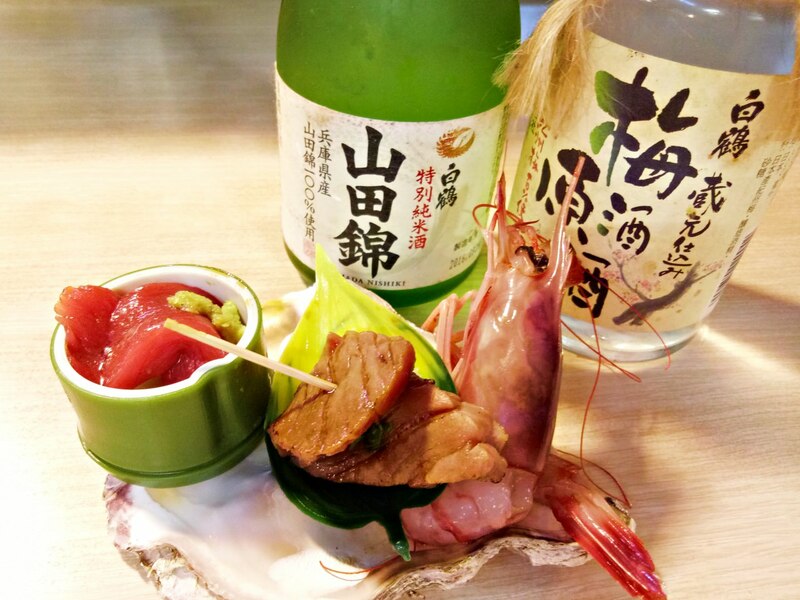 The sashimi dish comes with fresh shrimp. This fresh and delicious food of Wang Jiang Sashimi has a great reputation and deservedly so. 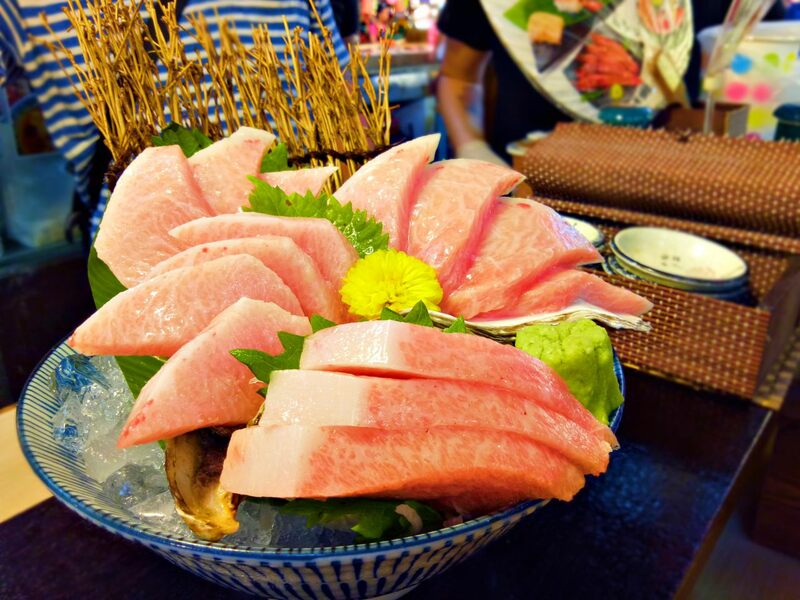 What is golden triangle sashimi of Bluefin tuna? It’s the jaw of the Bluefin tuna, the most oily part of Bluefin tuna and it was so delicious. The owner has his own fishing boat and he has over 20 years experience catching fish. He demands fresh ingredients, caught in the morning and consumed in the afternoon. The sashimi is fresh and a fair price, it was half price compared to the sashimi in other places. The tour guide can get this price for us, that was awesome. 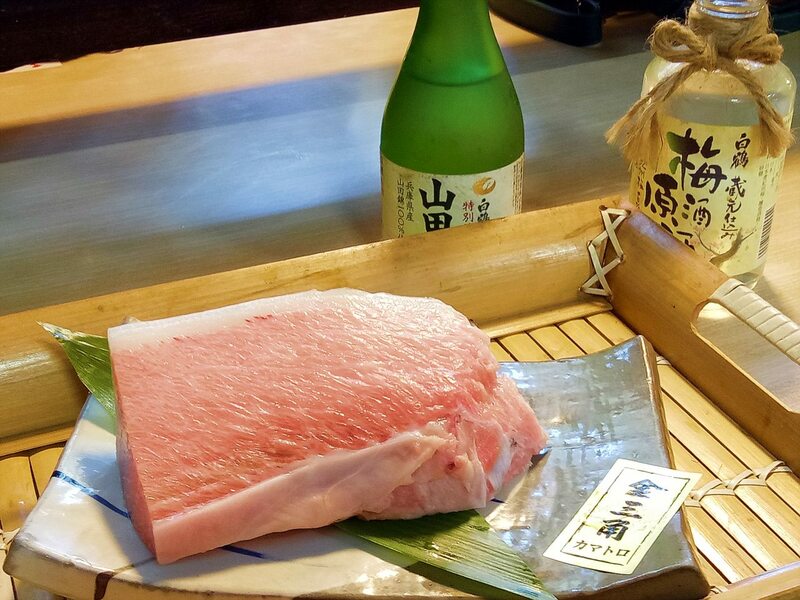 You will feel the happiest when you bite that oily jaw of Bluefin tuna, that taste will fill your mouth. It’s time for dessert, the name of the dessert is interesting: Ice With Sakura Shrimp. We were so curious about this store. It’s a floss store and it’s a really famous souvenir store in Donggang. 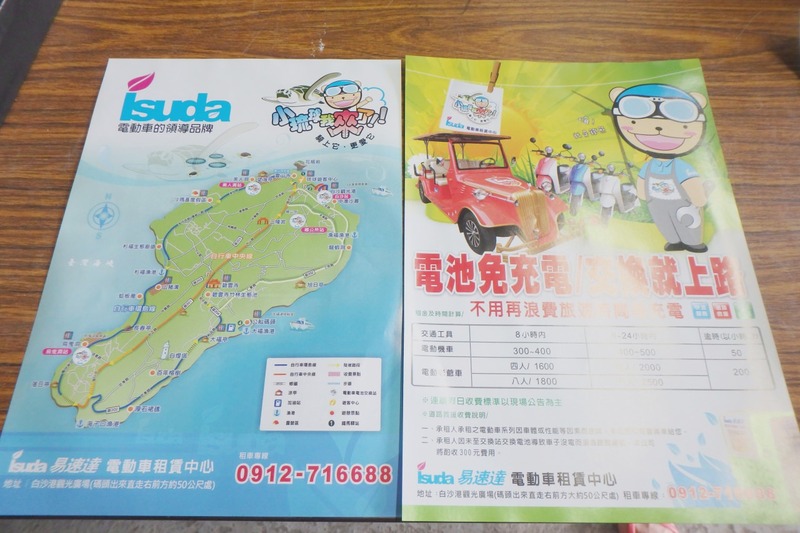 Wei-I foodstuff company is recommended by the Taiwan Tourism Bureau as a place to get excellent tourist information. 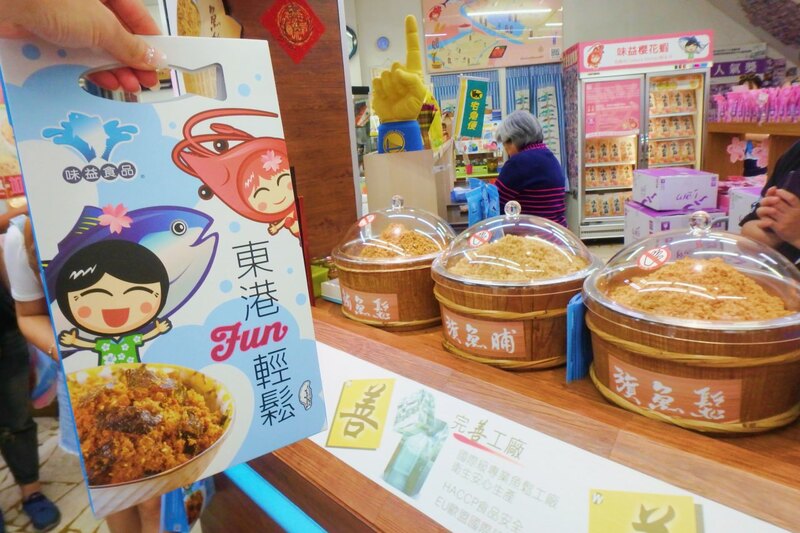 Wei-I foodstuff company is a specialty store for pork floss, fish floss and the most famous almond Sakura Shrimp in Donggang. Many tourists come here for sakura shrimp. So what’s Ice With Sakura Shrimp? Ice With Sakura Shrimp is shaved ice on the bottom and Sakura Shrimp, almond, brown sugar, sesame, medicinal herb, and aiyu jelly on the top. Using the brown sugar takes the Sakura Shrimp flavor out. Sakura Shrimp tastes crispy and eaten with almond is so good. 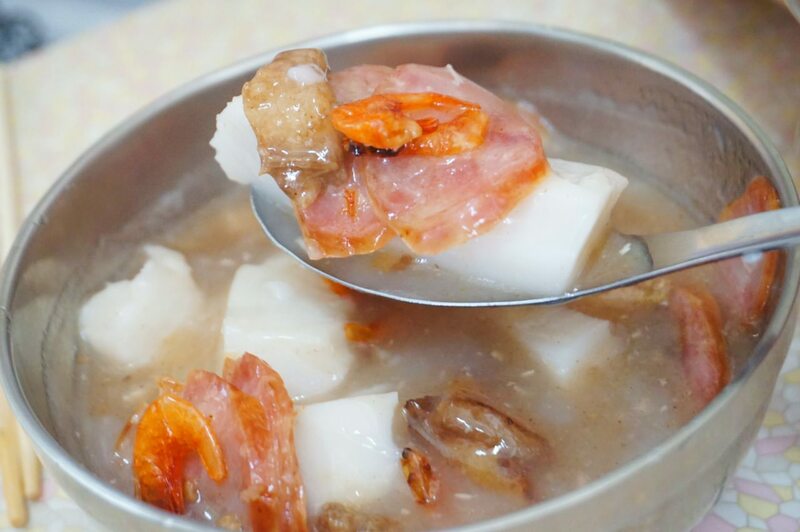 The special offer is that you can’t taste this special dessert in the Wei-I foodstuff company normally, this is only for those who join the food tour of Donggang. 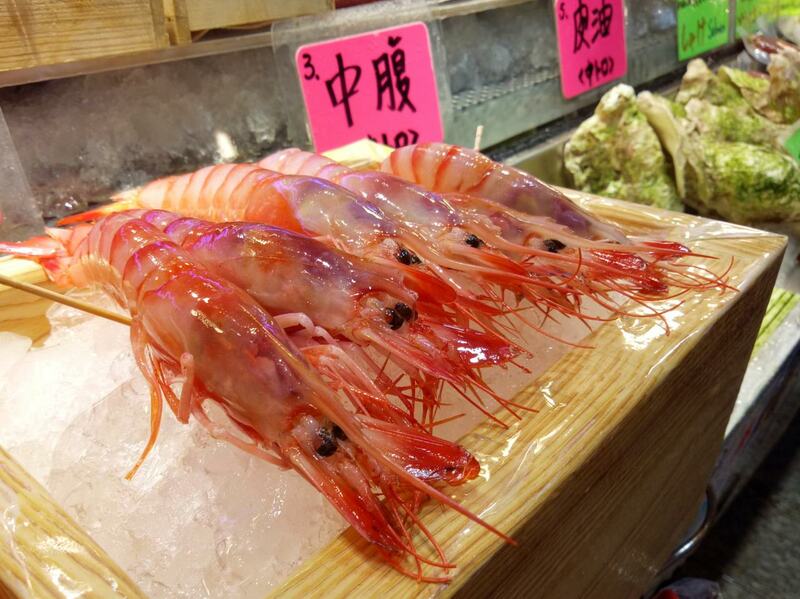 Ice With Sakura Shrimp is really special. Sakura Shrimp and brown sugar is a great flavor match, you will be reminded constantly after you taste it. The owner Apple shared that this idea was from a few old customers, they bought Sakura Shrimp home and created this special dessert. 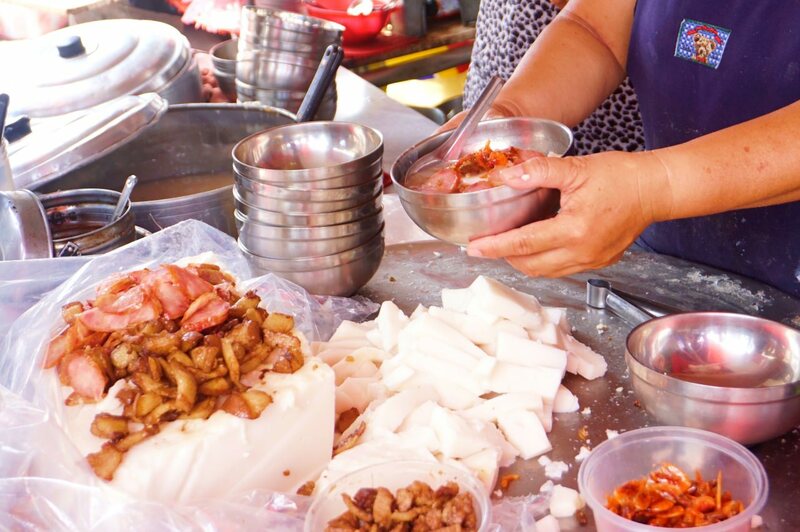 If you join the food tour of Donggang, you must try it. 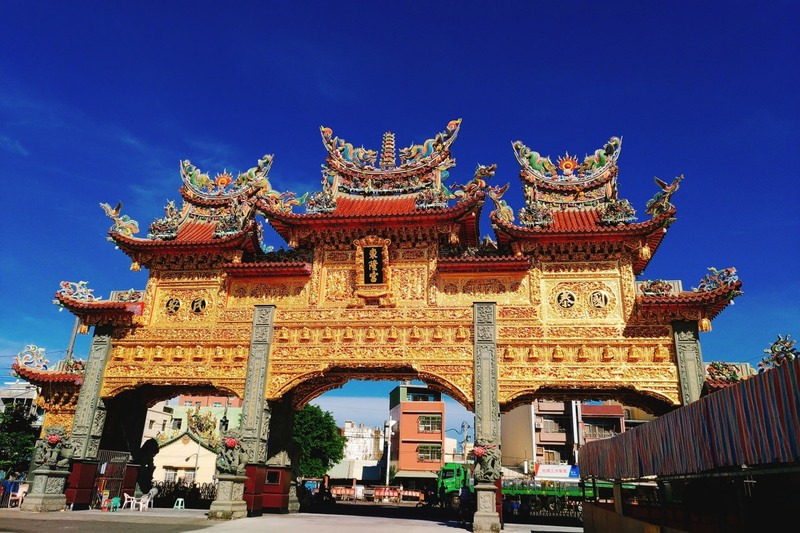 When you arrive at the Donglong Temple, you will see the giant decorated archway in front of the main door of Donglong Temple. It is made of pure gold foils, is resplendent, and spectacular. 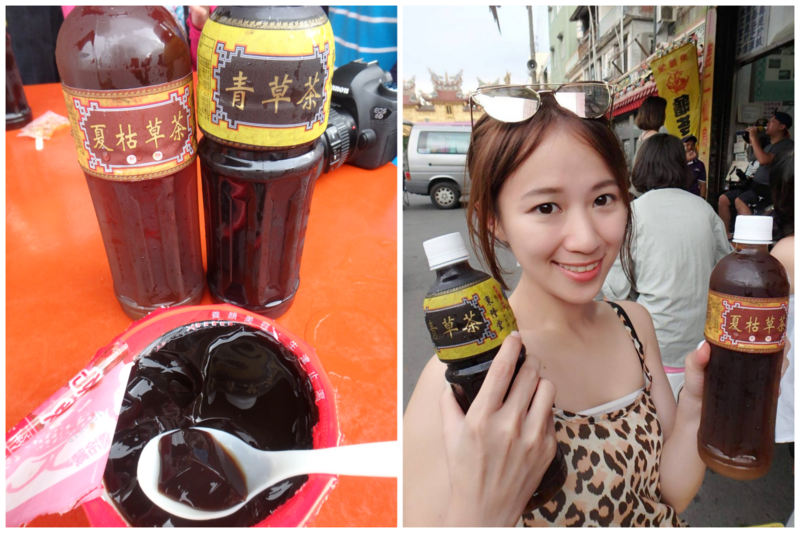 This is my first time to taste Gui Ling Gao. I heard it’s very bitter but I’m ready. Gui Ling Gao uses the Chinese medicine Gui Ban and Tu Fu Ling to make it.It’s good for women and if you always stay up late at night, it can help you to remove inflammation of the liver and constipation. 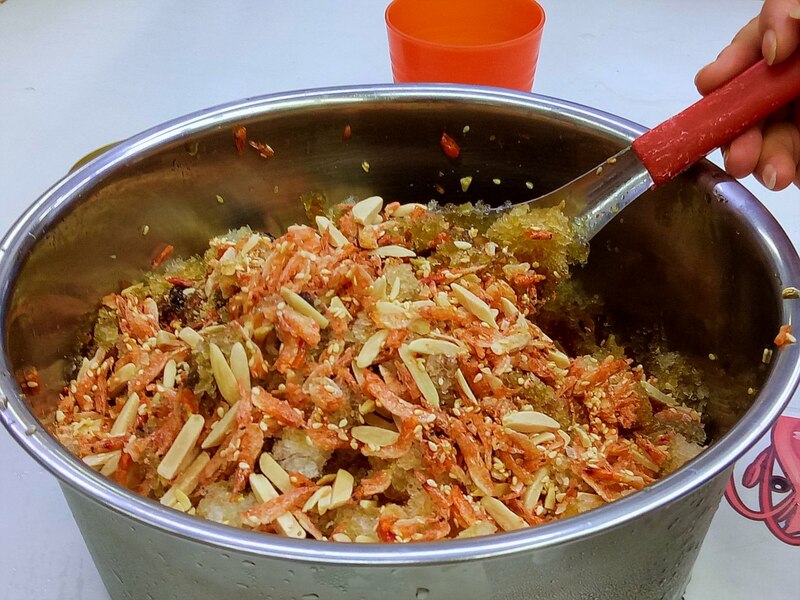 You can eat this every day because it’s Chinese medicine and not the herbal medicine, that’s why Hong Kong people like it so much. I put lots of honey on it before I ate it. When you are used to the bitter flavor and enjoy the herbal tea, your body will feel refreshed and relaxed. After we finished the food tour on the first day, we checked into a B&B and slept early as we will go to dive at Little Liuqiu early in the morning. Braving the wind and the waves to Little Liuqiu, ride around with an electric scooter. 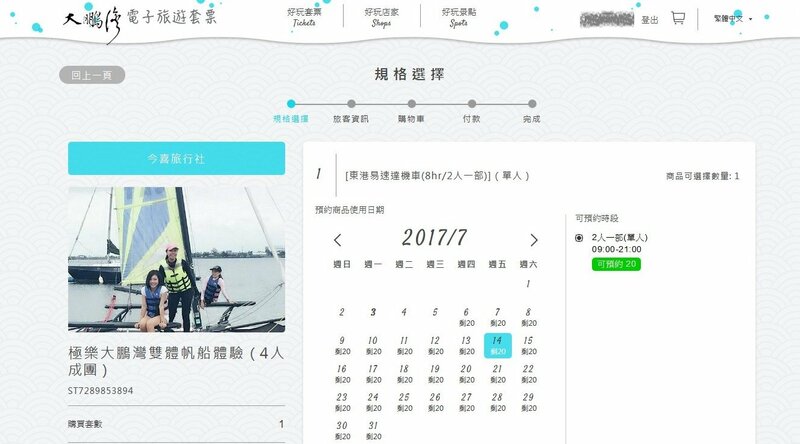 <Summer sale>Round trip boat tickets are provided to and from Little Liuqiu and electric scooter rental. The last time we came to Little Liuqiu was 5 years ago. We had a 2 days and 1 night trip from Zhanghua to Little Liuqiu. We saw the crabs on the intertidal zone and rode scooters around the Little Liuqiu. That trip was short, not enough. We took the earlier boat to Little Liuqiu and we saw the rainbow. The waves were huge so the boat was shaking all around, we fell asleep after we saw the rainbow. We arrived in Little Liuqiu in a half hour from Donggong. The wharf of Little Liuqiu is colorful, that was so cute. 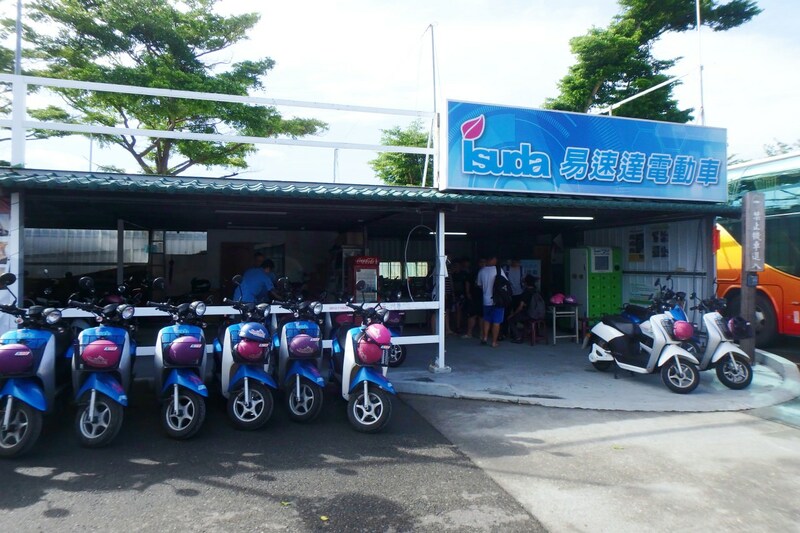 From the Little Liuqiu wharf, you walk 5 minutes and then you will find the “Isudaelectric scooter store”. 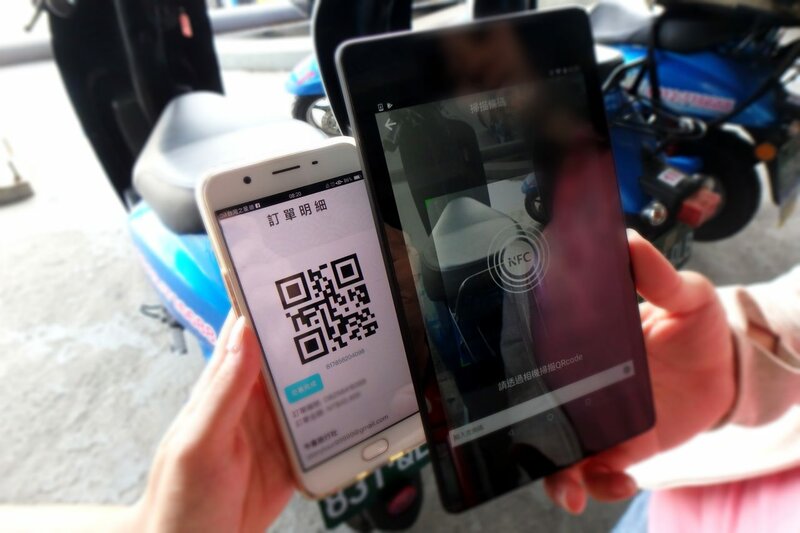 For this 2 days and 1 night trip in Dapeng Bay and Little Liuqiu, every tour package that you bought on the Dapeng Bay E-Travel Tour Package fan page /website gives you a QR code to use on the trip. You scan the QR code in the stores and you can immediately start to enjoy your tour. Before you rent the electric scooter, just ask the store to scan the QR code and then you can start your tour. People who have never rode a electric scooter like us, you should listen to the owner’s instruction, because it’s still slightly different than the scooter we use to have after all. 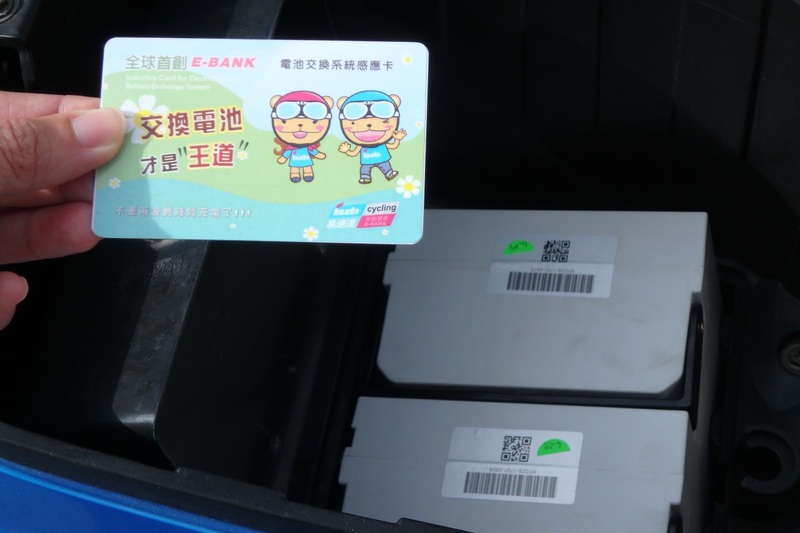 Every electric scooter has a battery exchange card in the storage compartment, you can use it at any battery exchange station on the island. There is a battery exchange in theIsudaelectric scooter store, the owner showed us how to use it and it’s really easy. 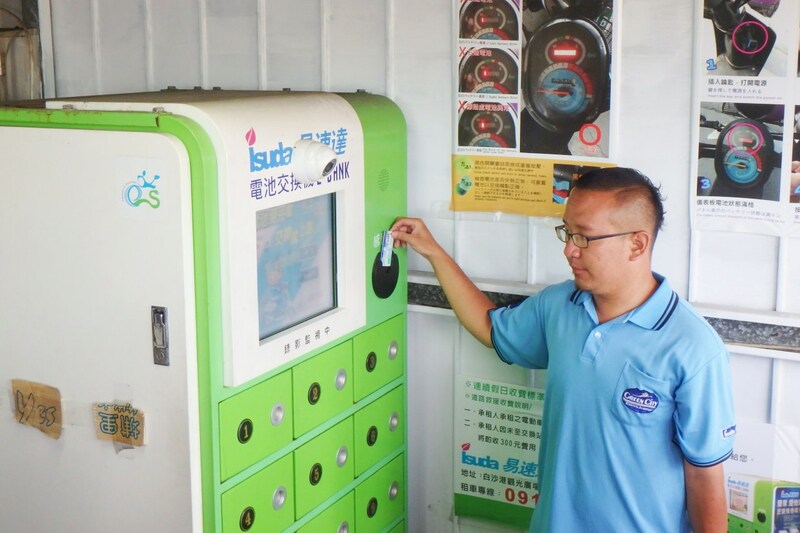 Before the tour starts, you can get the map of Little Liuqiu in the Isuda electric scooter store. The owner suggested to start from Vase Rock counter-clockwise around Little Liuqiu. At the start many spots are close, but on the way back you can take your time to enjoy every spot. For your safety, you should wear a helmet even if you just ride electric scooter. Doing splits in the sea and swimming with sea turtles. Sea world of Little Liuqiu. Little Liuqiu diving is coming up. The coach explained especially that even if you can’t swim, you can still dive and you don’t need to be scared if you know how to breathe. It’s really important to practice how to use your mouth to breath with the diving mask on. Also, you can check that you don’t breathe from your nose, because if you use your nose to breathe then your mask will get foggy, and you can choke on the water under the sea. 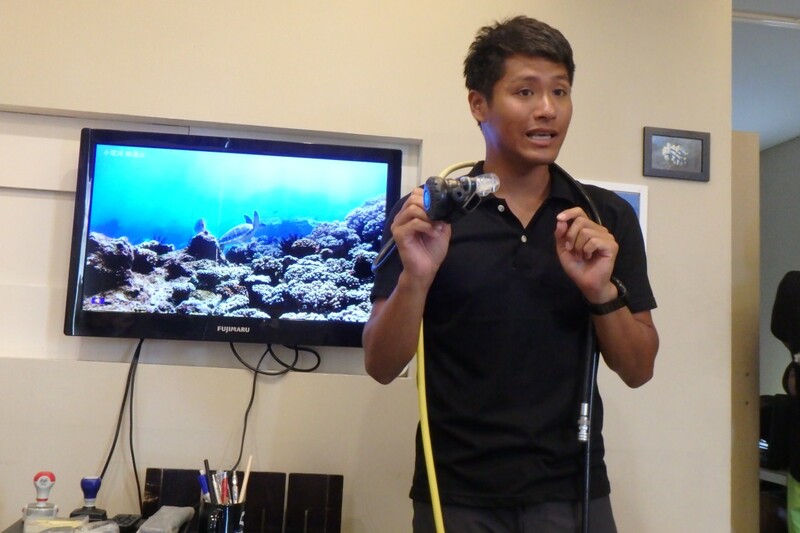 It was tough carrying the heavy oxygen tank and swimming for minutes, but when you saw the pictures of under the sea, it’s worth it. 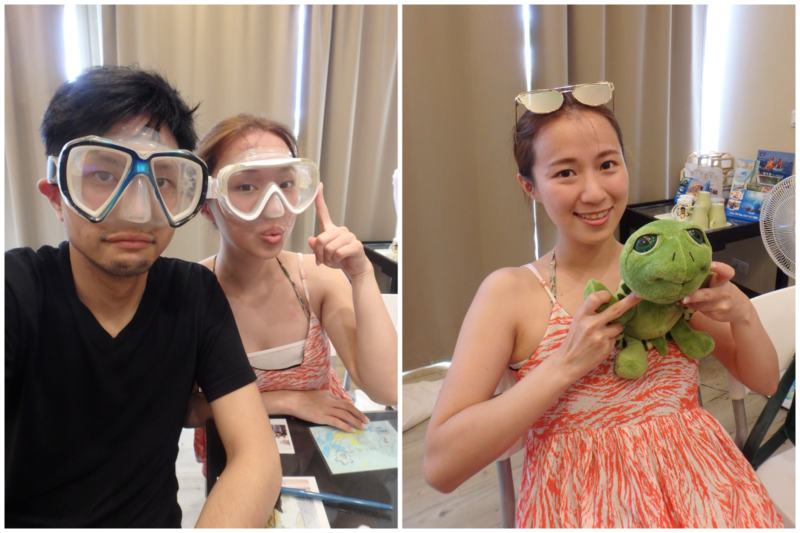 Finally we saw the green turtles after we were swimming for 10 minutes. 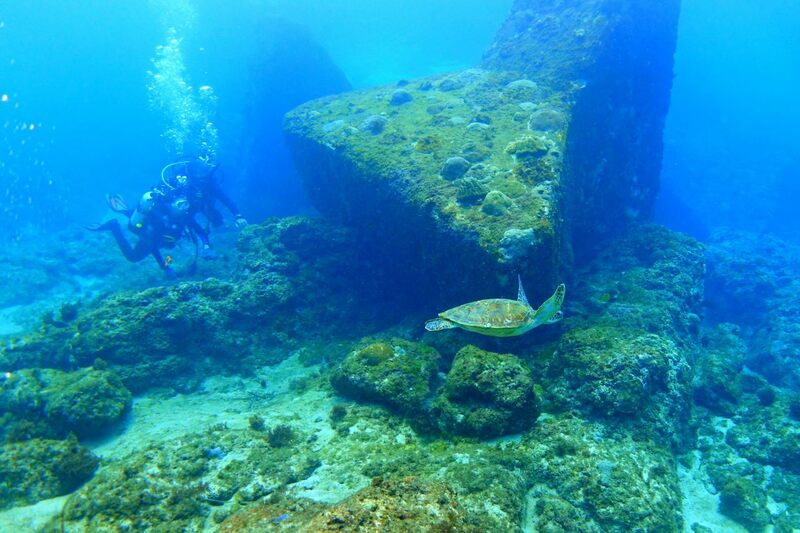 Kenting has more different types of fish but Little Liuqiu has the protected beach where green turtles spawn, so you will see the green turtles under the sea. 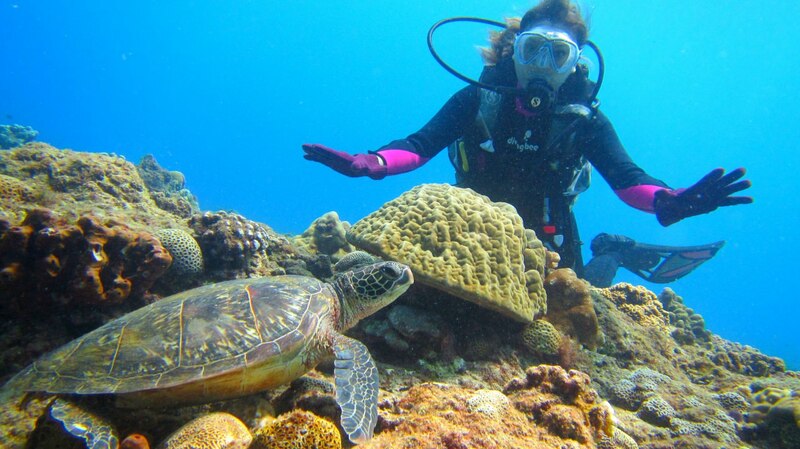 She was so lucky, took a picture with the green turtle. Don’t touch any marine animals under the sea, patient and peaceful and they will come close to you. After waiting patiently, I finally took a picture with green turtles. They were so cute and swimming just in front of you. This is my second time diving (first time was in the Easter Island). 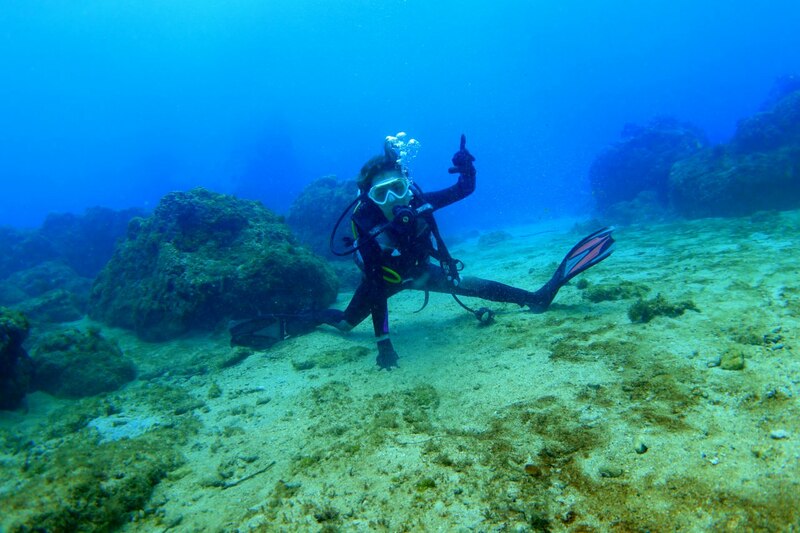 Diving 9 meters under the sea and you will see how beautiful Taiwan is. You will be so emotional. Maybe because I had experience diving, after my practice on the beach, the coach took me alone under the sea for 40 minutes. I was enjoying it and it felt so nice. Such a nice and beautiful ocean, we need to protect and treasure it. 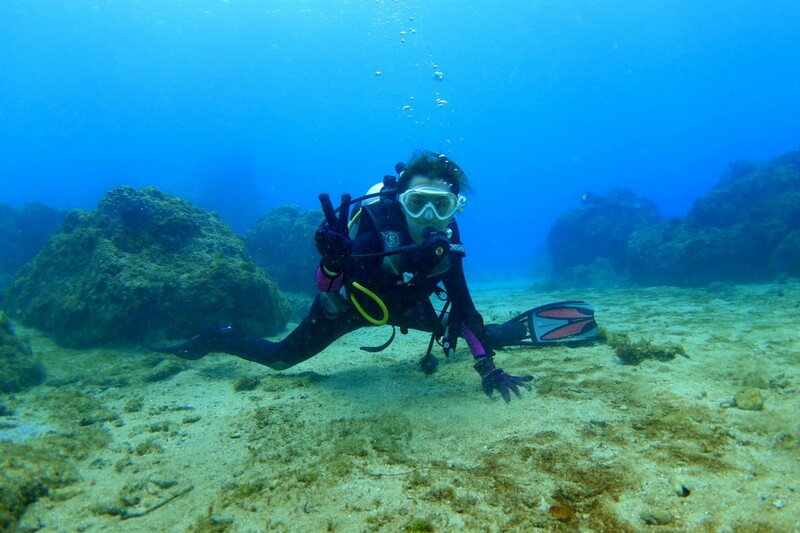 End of this trip, the picture of me doing splits under the sea is a great memory. The Dapeng Bay E-Travel Tour Package Website has limited fair price packages if you are planning go to Little Liuqiu. I had kayak, BBQ oyster on the boat, and a go-kart on this trip. 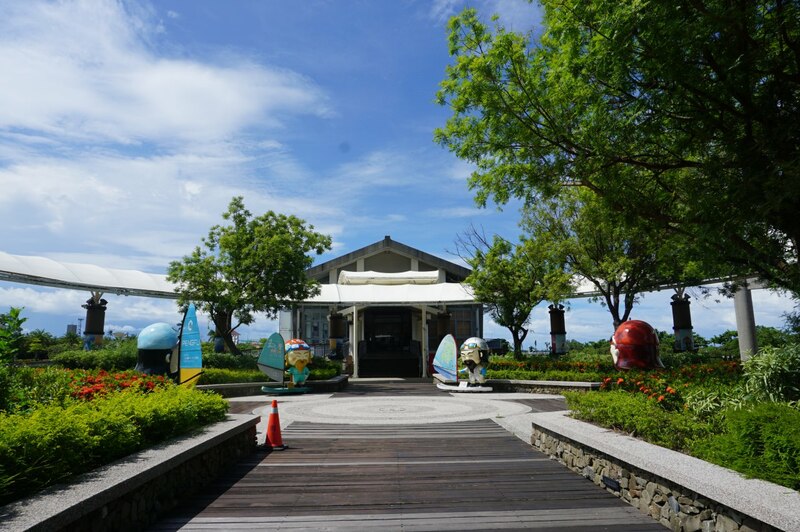 ※If you want to know more information in Dapeng Bay and Little Liuqiu, click the Dapeng Bay E-Travel Tour Package fan page and you might get the prize. Announcement: Special thanks to E-Travel Tour Package sponsor.